A new wetland, dedicated to migratory birds, was born over fields extensively cultivated until the day before. With this choice, an occasion for comparison is generated, more than thirty years later, with the work of Agnes Denes (Wheatfield – a confrontation, 1982) to whom the intervention is dedicated. The theme of the discussion is the actual value of the soil, particularly in a situation such as this where the activity of man has heavily depleted the ecological and landscaping quality and functionality. The title ‘Beyond Agnes Denes’ was chosen to emphasize the forward efforts, made in recent years, with the public recognition of the concept of common heritage concerning ecosystems and landscape. 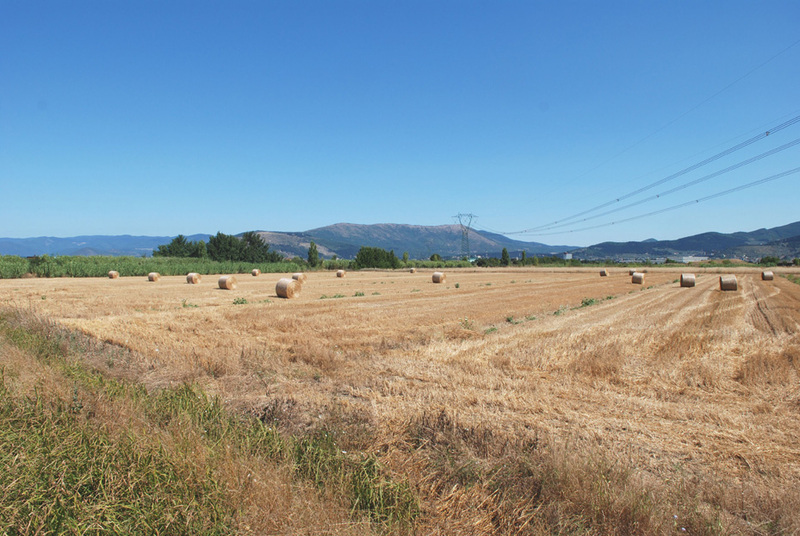 If Agnes Denes emphasized the importance of the land for productivity of food and the risk of impairment when carelessly used as a landfill, with this artwork the concept of land and of territory as precious common heritage has evolved even further, leading to the cancellation of the agricultural function itself. The natural landscape is recognized today as a primary necessity for our society. Just a few days after the first flooding of the area, migratory birds, arrived. These species are the evidence of the natural ‘globalization’ that ever characterizes and links our landscapes with others, also situated at a long distance. The presence of these species confirms the importance of undergoing similar decisions about territory management. Arable fields (extensive farmland) with some illegal shacks on their side. 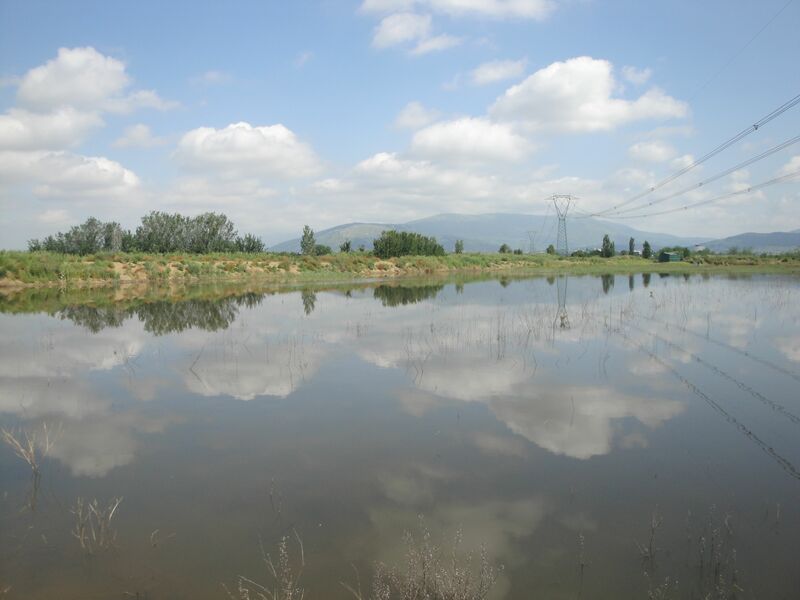 Construction by mechanical means of seasonal wetland of approximately 4.5 hectares. For its realization 12,000 cubic meters of land were moved with the use of excavators (approximately 300 hours) and trucks (approximately 250 hours). Subsequently approximately 30,000 cubic meters of water were put in for the first flooding. To complete the work several autoctonal aquatic and riparian species were introduced, thanks to the help of dozens of volunteers (Social Art - intervention). - Waders: stopover during migration, nesting. - Ducks: stopover during migration, nesting.